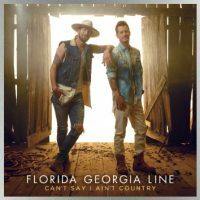 BMLGFlorida Georgia Line’s counting down to Friday’s release of their fourth studio album, Can’t Say I Ain’t Country, and in the coming days, they’ll be doing plenty to promote it. On Wednesday, Tyler Hubbard and Brian Kelley will host Nashville Lifestyles’ 15th Annual Music in the City event at FGL House, as their pals Morgan Wallen, Canaan Smith, RaeLynn and Hardy take the stage. Then on Valentine’s Day on Thursday, they’ll travel to New York City to play The Tonight Show Starring Jimmy Fallon. You can tune in to see them do their latest single, “Talk You Out of It,” starting at 11:35 p.m. ET on NBC. Next Tuesday, they’ll do a special album release show at The Wiltern in Los Angeles. While they’re in L.A., they’ll also tape an episode of The Ellen DeGeneres Show. Check your local listings to see when the syndicated show airs on Thursday, February 21.